Tony Kushner. Photo by Joan Marcus. On Saturday, amid a flurry of other celebrations at the University of Vermont (such as homecoming, reunion and family weekend), the Theatre Department rolled out a day-long series of events to celebrate 40 years of theatrical production in the Royall Tyler Theatre. The capstone event? 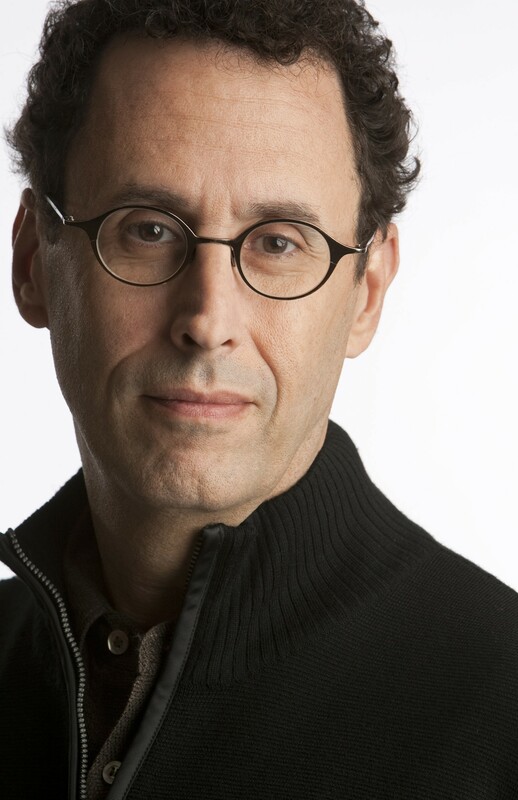 A dialogue with Pulitzer Prize-winning playwright Tony Kushner, who waxed poetic on the "vital" role of theater to an appreciative crowd of UVM students, alumni and faculty, as well as local fans and theater enthusiasts. Kushner is best known for his seven-hour, two-part epic Angels in America: A Gay Fantasia on National Themes, which won the 1993 Pulitzer for drama and was adapted into an Emmy-winning HBO miniseries. His lengthy list of accolades includes two Tony awards, three Obie awards, a PEN/Laura Pels International Foundation for Theater Award and the 2012 National Medal of Arts. He also cowrote the screenplays for Steven Spielberg's Lincoln (2012) and Munich (2005). During a loosely structured, hourlong Q&A moderated by UVM acting professor Kathleen Gough, Kushner spoke off the cuff about topics ranging from climate change to the current state of LGBTQ rights to the value of a liberal arts education. The stage, Kushner told his captive audience, is "a tool to look at the mysteries of things" — and the primary goal of the playwright, he clarified later in the discussion, "is to get at a truth, and not a single truth, but a dialectical, spinning truth." Kushner's plays are known for having a distinctly political bent; Angels in America, for instance, follows characters such as a pill-popping Mormon housewife, a former drag queen dying of AIDS and the ghost of Ethel Rosenberg through Reagan-era New York at the height of the AIDS epidemic. But Kushner says he eschews writing plays with intentionally political agendas. "[Theater] is about how we relate to the world, which is this tricky, double-edged thing, and if you don't get that, you're, well, a Republican," Kushner said, eliciting laughter. He encouraged the students in the room to take advantage of their undergraduate years and UVM's theater program, which, he suggested, offers greater freedom than a traditional vocational training program. "You still have a brain that has that astonishing sponge-like absorption capacity, which people that are in their early twenties don't understand starts to die at 25 and, like, fossilize your brain structure," Kushner said, to more audience titters. "Soon," he continued, "you can't remember anything, you're fumbling for which hand is left from right; it gets scary. But when you're 18 to 21, you're still able to just absorb an immense amount, so we decided some time a million years ago to take people like that and give them four years in a row where the only job they actually had was to read and think really hard about what they were reading. I don't think there's a replacement for that. I don't think you get that ever again in your life." "A trust fund is very helpful." "It's enormously important to have an understanding of antecedent form, so read every play ever written." "When you're writing a play, do not read William Shakespeare, because whatever you think you're doing, he's already done it and he's done it better…. Same with Chekhov. It's like, Why am I bothering?" Kushner's final thought, though, struck a more serious chord. "Your job is to entertain people, but to entertain people by telling the truth," he said. "That's what you're after, and nothing matters more than that. "Of course," he added, "many things matter a lot and may trip you up, like being famous and being rich and being clever and quick, or getting the play in on schedule. But none of that matters as much as having some intuition and going after something that's of real value and giving everything to that."